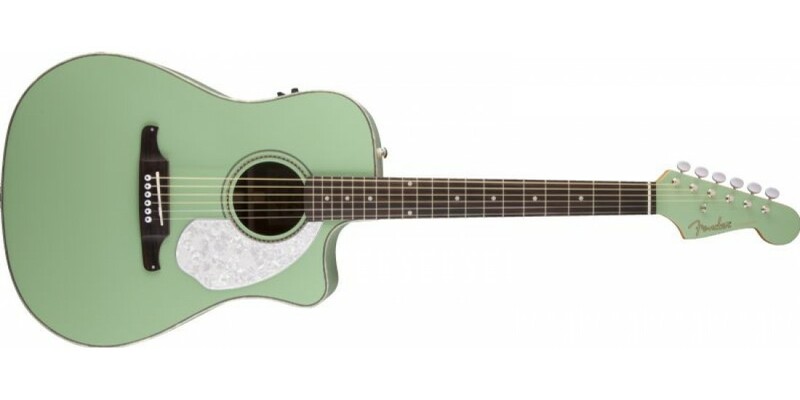 The Fender® Sonoran SCE is decked out for even more sun-and-fun acoustic action, upgraded with a three-ply pickguard, bone nut and bridge saddle, and vintage-style Fender® Viking bridge. It’s perfect for those who dig vintage styling and seek to ride the wave of Fender®’s classic Southern California history and vibe. 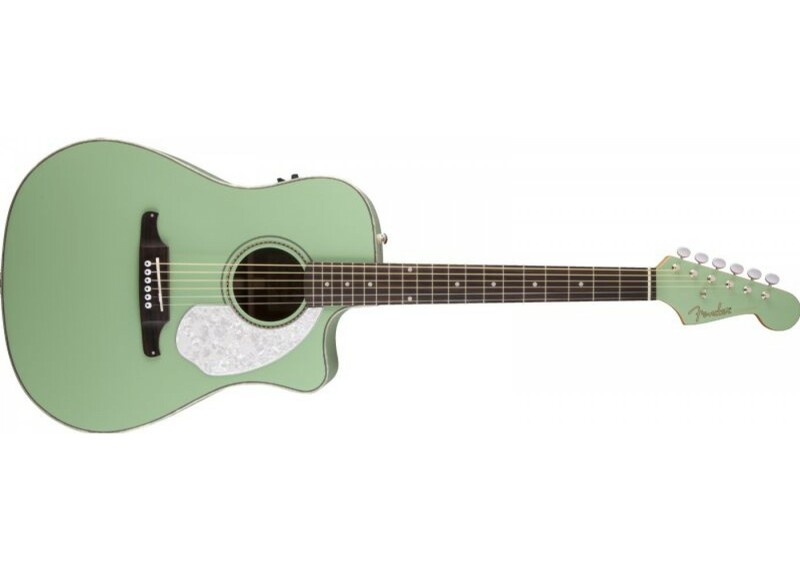 Other premium features include a tight dreadnought cutaway body shape, resonant solid spruce top with scalloped X bracing, mahogany back and sides, stylish checkerboard rosette, body binding, vintage C-shaped maple neck with dual-action truss rod and matching painted Stratocaster® headstock shape, 20-fret rosewood fingerboard, rosewood bridge with compensated saddle, forward strap button with internal block reinforcement, gloss neck and body finish, and Fishman® Isys III pickup system with active onboard preamp and tuner.